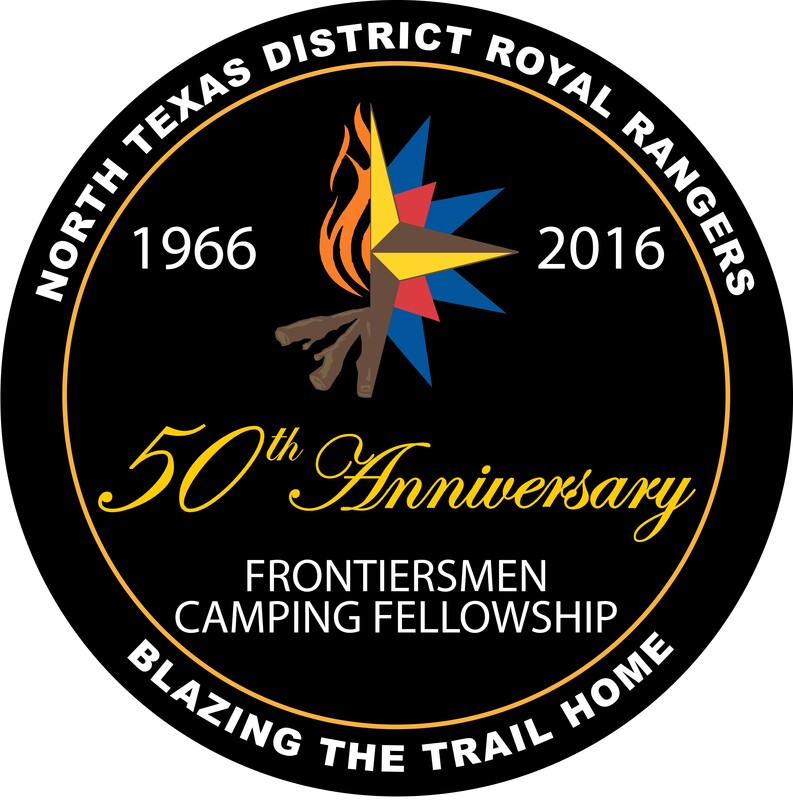 2016 was the 50th anniversary for the Frontiersmen Camping Fellowship (FCF), an auxiliary organization of the Royal Rangers. To celebrate this major milestone, the theme for the 2016 Winter Camp was based on the FCF. 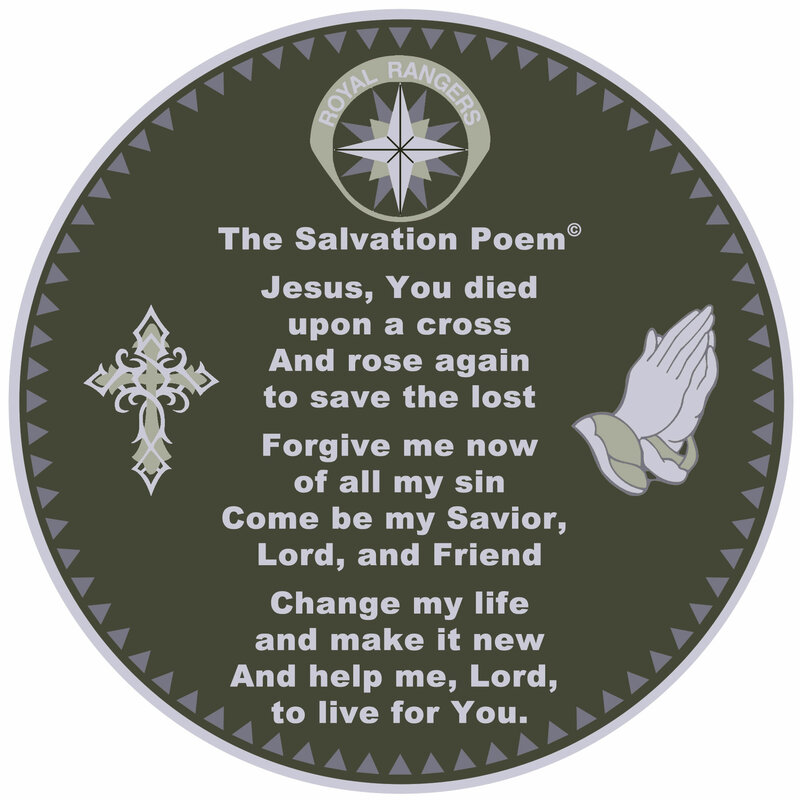 On the obverse (front) side, I used artwork I created for the 50th anniversary of FCF in conjunction with the Winter Camp theme “Blazing the Trail Home.” On the reverse (back) side, is The Salvation Poem as well as a cross, praying hands, and the Royal Rangers emblem.